In the depths of the Great Depression, one of the hardest-hit groups was young men just entering adulthood, with no work experience. Jobs were hard to come by, and why should an employer hire someone inexperienced when so many experienced men were available? This was not only an economic problem for these men but also a morale-buster. President Franklin Delano Roosevelt gave this problem high priority. One of the first programs he implemented during his first 100 days in office was the Civilian Conservation Corps (CCC). He believed that employment and the healthy atmosphere of nature would turn around the lives of young men living in poverty. The legislation founding the CCC, the Emergency Conservation Work Act, was submitted to Congress on March 21, 1933. Ten days after it was submitted, the bill was passed, and the president signed it into law. 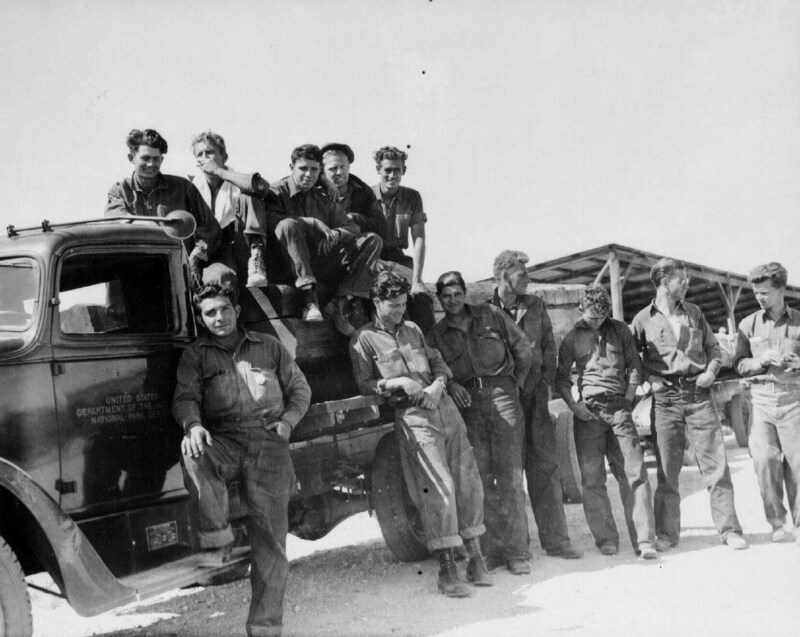 The first CCC camp was established on April 17, 1933. From then until 1942, millions of young men all over the country experienced life in the “3 Cs,” completing hundreds of projects. 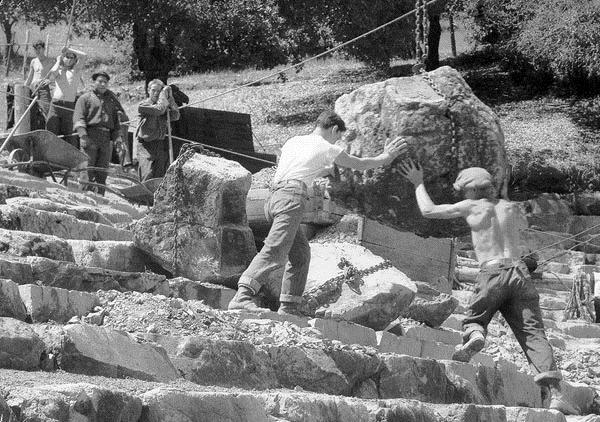 The unofficial motto of the CCC was “We Can Take It!” In California, the CCC enrollees not only took the discipline and hours of hard work, they gave back lasting benefits to the state park system. The California State Park system was completely dependent on the CCC for development during the 1930s. CCC work took place at 41 different parks. The 1928 bond act that funded the growth of the brand new California State Park System only paid for acquisition of new parks, not their development. Without the CCC, the many new properties being acquired thanks to the bond act would have had no facilities and been unusable for years. Only 18 California state parks were open to the public in 1933, and facilities were meager at most. By 1937, 70 were open and fully operating. 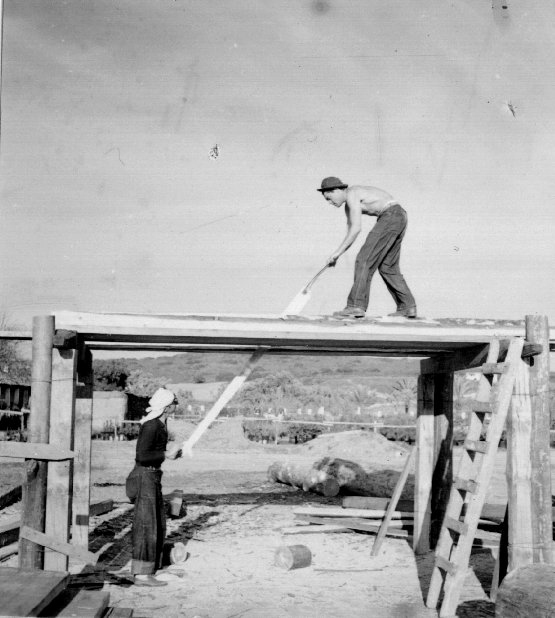 The CCC completed a wide variety of projects in California State Parks. They built roads, trails, and bridges. They constructed park wardens’ housing, administration buildings and recreation halls, and other structures. They developed picnic areas, campgrounds, trails, roads, bridges, and other park infrastructure. “La Purísima Mission, now a State historical monument administered by the California Division of Parks, is fast becoming recognized as one of the most interesting of the California Missions. The restoration work being done by the CCC camp stationed there has drawn wide acclaim from historians, archeologists, and students as one of the most carefully studied and painstakingly performed restorations now in progress anywhere in the country." 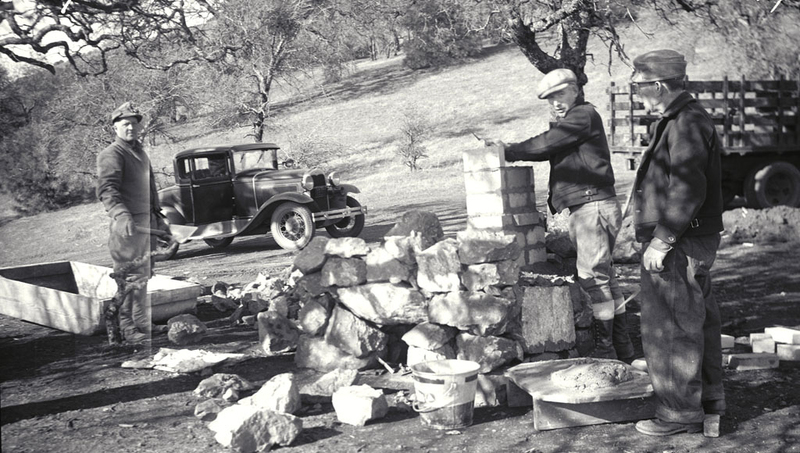 It was not only the parks and the people of California who benefited: the men who enrolled in the CCC received short-term help and long-term benefits. Not insubstantial during the Great Depression were the basic benefits of food, shelter, clothing, and medical and dental care. Other benefits included an education program, employment counseling, and on-the-job skill training. The CCC provided a little pocket money for the enrollees, and funds sent home to their families. Enrollees earned $30 per month. Men were required to allot at least $22 to their dependents, but it was common practice to allot $25. This was not a large amount of income, even for that time, but times were so hard that it made a big difference for the families. World War II brought an end to the CCC. As young men left for defense-industry employment or the armed services, enrollment dropped precipitously. 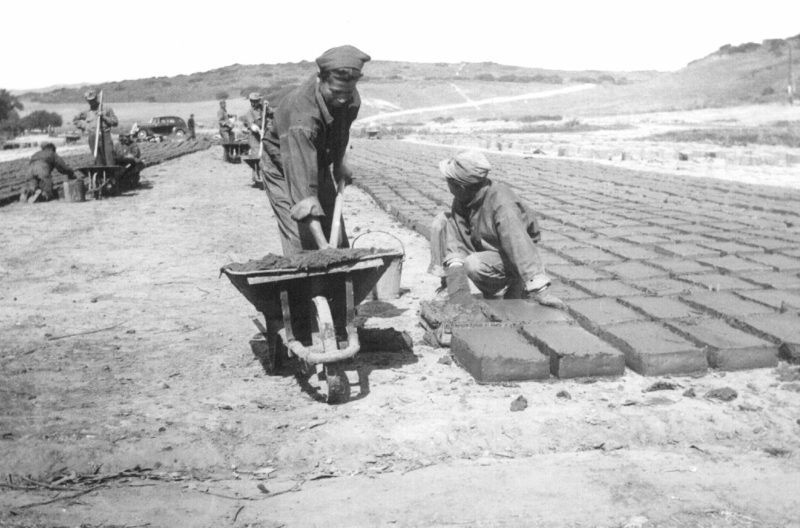 Although President Roosevelt and many of the officials connected with the CCC had lobbied to make the Civilian Conservation Corps a permanent institution, Congress terminated the program in 1942. Though the federal program is long gone, the CCC is still with us in California State Parks. Many campgrounds, buildings, trails, roads and other facilities built by the CCC still exist, and most are still used. As the CCC director’s report predicted, the impressive Mountain Theater is still in use at Mount Tamalpais. The restored buildings at La Purísima Mission State Historic Park are still a popular destination, including visits by thousands of children on educational field trips each year. The 3 Cs also inspired later youth-service programs, including the California Conservation Corps. This modern CCC, founded in 1976, regularly performs work in California State Parks. Like the Great Depression-era CCC, the California Conservation Corps has an informal motto: “Hard work, low pay, miserable conditions, and more!” And like the historic CCC, the California program provides training and education for corps members, while they perform work that conserves or enhances the state's natural resources or provides another public benefit. California State Parks have gained a lot, thanks to the “We Can Take It” attitude of both the historic and modern CCC enrollees.